Professionally printed on SANTA FE card stock, a 350 gsm great all-rounder with a low sheen silk glow and the brightest, sassiest colour reflection. Smooth to the touch. All products from this range are printed on this card stock. 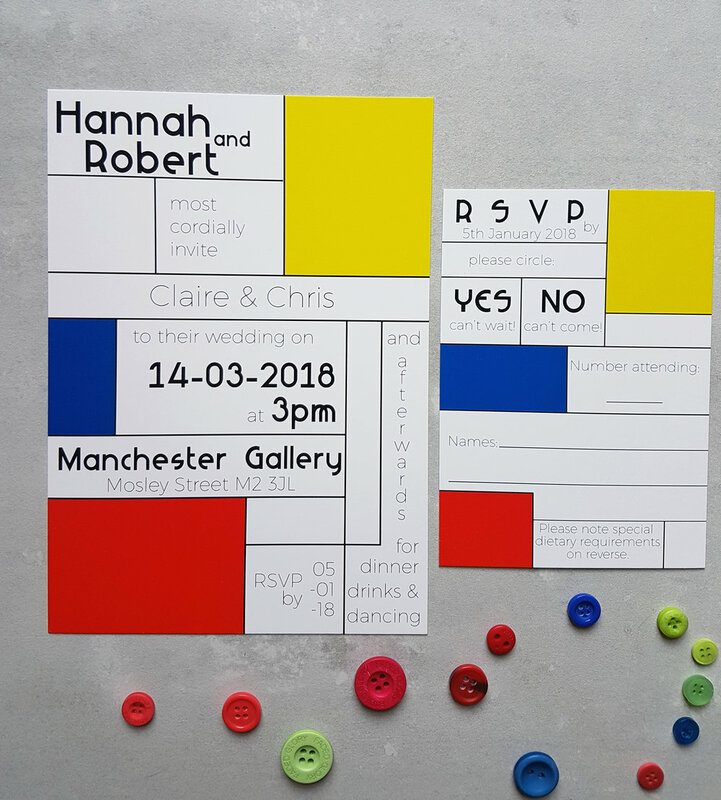 Retro Mondrian invitation combining deep cobalt blue, mustard yellow and shell pink on a bright white background. Size A5, single sided and personalised with your guests' names. Mondrian's classic colour palette of vibrant primary red, yellow and blue on a bright white background. 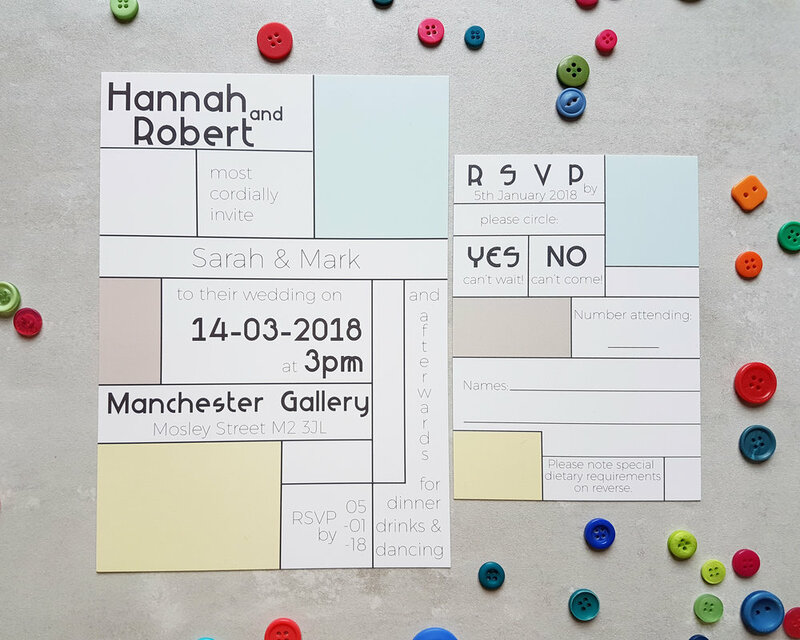 A5 invitation, single sided and personalised with your guests' names. Pastel aquamarine, palest grey and sandy peach on a bright white background. A6 RSVP Card, single sided. Candy pink, pale turquoise and honeyed peach on bright white. A5 invitation & A6 RSVP card. Single sided. 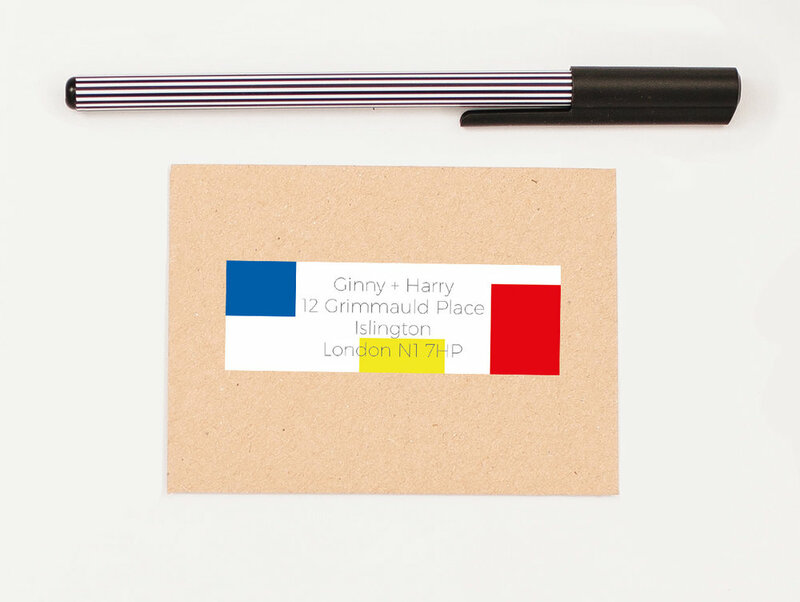 Invitations are personalised with your guests' names. Sorbet lemon, sky blue and timeless grey on a bright white background.